Why Convert PDF to HTML? • Enhance the accessibility of your organizations, procedures or manual. Make it visible through browser on any portable device. To help users choose a best free PDF to HTML converter, we would introduce several free PDF to HTML converters and compare their pros and cons. Online PDF converting is one of the most popular way to convert PDF to HTML for free. This website, pdfonline.com, could be an good example of the kind. The website's quite simple. You just need to browse to your file, click convert then wait till the output file comes out. You will get a download page for the output HTML file or you fill your email address then get the file via email. Disadvantages: There is a 2MB limit for the PDF file, you can not convert file bigger than that which is very inconvenient. Except for browsing to source file, there's no other option on the website. If you choose get output via email, there's a risk of missing file for there are too many links and images in the email which would be easily blocked as spam by email box. Besides, the service is unavailable without network condition. Some PDF to HTML Converter is a desktop freeware. It supports batch conversion and encrypted PDF file converting, capable of converting password protected PDF-file. The conversion tool will ask for a password during conversion. You need to type in password to get conversion continue. There are options for customizing the html output. You can custmize html title, html keywords and even frame structures of the output html file. Disadvantages: You need to fill your email and name to subscribe their website, otherwise, the program will be inaccessible. When installing, the Avira program warming it is an insecure installation file. After installing, many of the custom options inside are in gray which can't be used. As for the output html, the software can not work as expected. We use a 4MB PDF file with images for testing and only the images could be retained in the output but all the text is gone. This freeware supports Hot Directory Mode. As long as PDF files changed or written in defined monitor folder, they will be converted to web pages at once. For the professional users, it provides Command Line mode to customize HTML output. 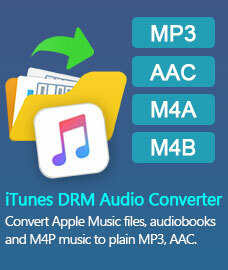 This free converter also supports batch convert mode. Disadvantages: Common user may encounter difficulty in using this program since there is function that like command line needs programming knowledge. As for the conversion, the format and layout of the PDF content can not be retained in the output. You can see some images turn out to be upside down, large part of images are missing. The text, especially the text that near the images is just in a mess. The program seems not stable on Windows 7 ultimate. After the first launch, you can't open it again no matter how you install and uninstall program file. If you want a simple to use desktop freeware for converting PDF to HTML, PDFmate Free PDF to HTML Converter would be the tool you are looking for. This free PDF converter has a pretty simple interface that every user can easily master and make full use of every option of the program in short time. 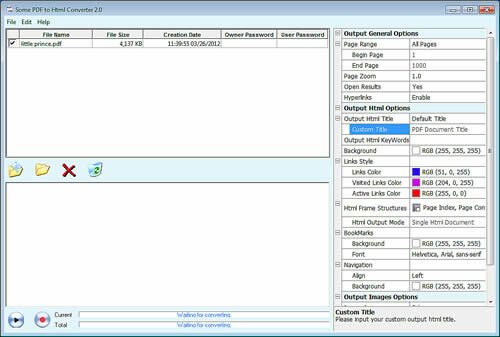 Users can batch converting the PDF files, choose to output HTML file with or without images. It can well preserve the original format of the content and turns PDF files into web page in high speed. Disadvantages: Though it can convert PDF to HTML fast with well formatting, it would be more useful to include more custom options like HTML title, frame structure, keywords, etc. Have got a general idea on the pros and cons of the PDF to HTML freeware above, we can see as a free PDF to HTML converter, PDFmate has done a good job as expected. Once installed, you can convert your PDF files to HTML file in well structure any time you want, no need to worry about network condition. 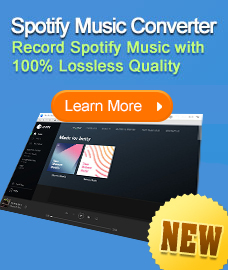 Furthermore, it is a 100% free PDF to HTML converter compatible with any Windows OS, no licence, no limit, no undesired subscription required but totally free of ad! It could do even more than a free PDF to HTML converter. Including HTML, it also supports converting PDF to EPUB, Word, Text, SWF and JPG. PDFmate Free PDF Converter is a handy tool that can help you turn PDF files into visible and fully searchable HTML content and get the website building task done in simplest and fastest way!